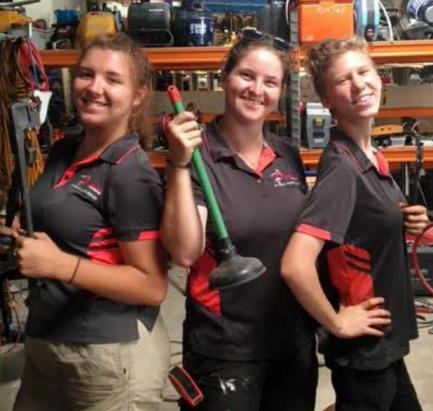 If you're looking for Lady Tradies in QLD, these people may be able to help you! The Tradettes guarantee that the plumber that shows up to your home is female, giving you that extra comfort & security in your own surrounds. We do all forms of plumbing from the simple tap service through to full bathroom, kitchen & laundry rents, as well as full house re-plumbs. We pride ourselves in our professionalism, timeliness & cleanliness with the attention to detail that a female delivers. ﻿Specialises in:﻿ Maintenance work, taps & toilet leaks, blocked sewers & storm water drains, rerunning pipe work, bathroom/kitchen/laundry renovations, roofing, gutter, hot water systems, solar heat pumps, dishwasher installs, water audits. Anything Plumbing, we're your one stop shop. Additional t﻿rainin﻿g & tickets: Elevated work Platforms tickets, machinery, back flow prevention, thermostatic mixing valves, water audits, line detection & camera equipment. Note: We've traveled from Kuranda in far Nth Qld, to VIC & even SA to install floors, but please be aware that interstate work adds substantial costs to your project. However, if you’re as passionate about your floor as we are, we’ll travel! Spe﻿ci﻿al﻿ising in: Timber floor installations in a range of products. From solid & unfinished Australian species, to engineered pre-finished products, like bamboo or oiled, wide board European oaks. With over 25 yrs combined experience, & having a close relationships with major mills, manufacturers & suppliers, we're able to offer our clients the most cost effective flooring solutions possible. We pride ourselves knowing that every job is entrusted to us, & therefore installed with the same love & care we would use if it was our own home. We believe a budget product can still make a great floor with correct installation, & we know that the most expensive product will still be disappointing if installed poorly. At Scribed flooring, our customers expectations are often well exceeded, as we do not charge a premium for quality. Instead we are rewarded by knowing that the best possible floor is the result. So regardless of where you purchase your product if you care about having a functional, quality floor, choose a quality installer who cares. See our website for examples of our work. 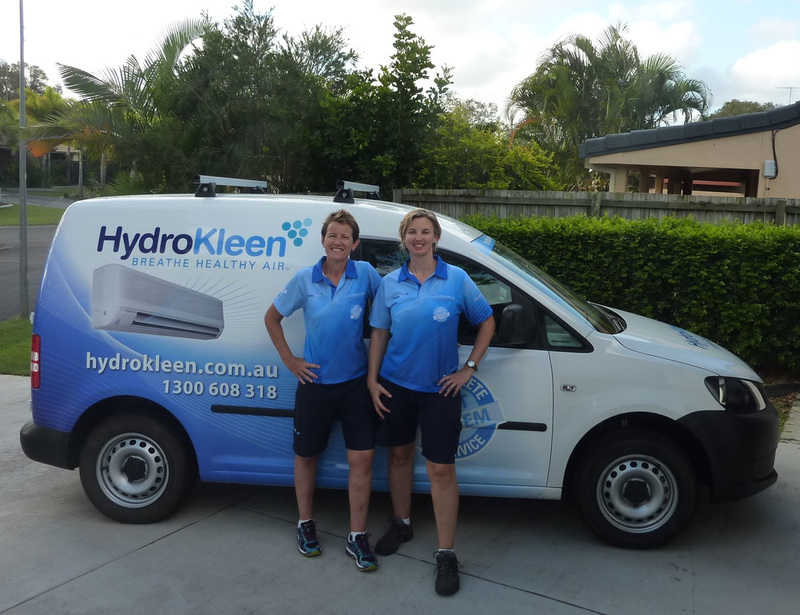 HydroKleen is a specialist national air conditioner cleaning company, and we are their first all female team! We are owner/operators of the HydroKleen Gold Coast South franchise and Australia's #1 air conditioner cleaning and maintenance company. If you have a dirty, mouldy, smelly or leaking air conditioner, HydroKleen are the only company that will completely disassemble, clean and sanitise all parts of your air conditioner. We only clean air conditioners, and we do it the best! We offer free assessment of your air conditioner units, and no call out fee. Your air conditioner is the best way to beat the heat, providing wonderful cool air no matter what the temperature is outside. But unless you keep it well serviced you could be breathing in mould, mildew, fungi and bacteria, not to mention costing more $$ in running costs. Air conditioning units need to be regularly serviced as they can harbour a variety of organisms that can make you and your family sick. HydroKleen Gold Coast South offer comprehensive air conditioning cleaning and sanitising of split system, ducted, RAC and ceiling cassette units so you’ll enjoy breathing healthy air again. After a HydroKleen your air is fresh & healthy, reduces sickness & helps you live a healthier life. Brisbane - usually service the Moreton Bay Region but will travel further if required. E Rose Electrical is a female owned and operated electrical business. We specialise in domestic installations and repairs. If you are looking for a professional, friendly, honest & reliable service…look no further, give Emma a call today! Hayley prides herself on delivering quality property maintenance & is happy to talk you through the maintenance repairs as she does them, minus the jargon! QLD - Logan City, Servicing South East QLD (Logan City, Gold Coast, Brisbane). Established in 2010, Premium Gekko Gardening is an independent & female owned soft scaping company specialising in skilled horticultural services, offering long term garden and lawn maintenance solutions, along with expert horticultural advice for owners of properties and estates throughout Brisbane. Ranging from small residential upkeep to large acreage, commercial and industrial properties. As a high-end horticultural maintenance company, we understand that every garden and lawn is different. Each property requires a different approach to maintenance as every garden is unique. With our regular pre-start garden analysis, we can identify and highlight problems and offer you solutions so you can relax and enjoy your dream garden. Robyn and her team offer regular scheduled residential and commercial maintenance programs that completely manage your gardens throughout all seasons in Brisbane, personalised to suit your garden and lifestyle or company image. Garden and lawn maintenance consultations. 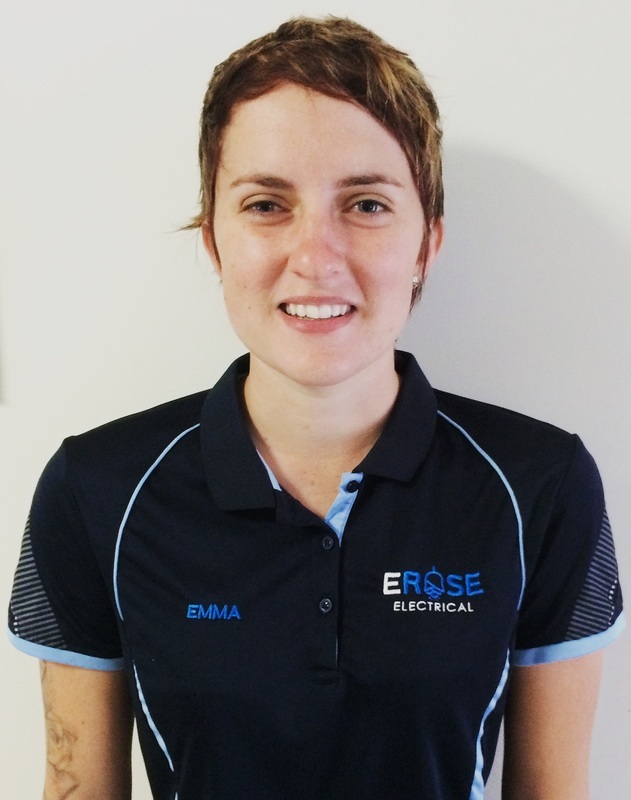 Jess has over 10 years experience in the electrical industry with a diverse skill set across the residential, commercial and industrial fields. If you're looking for a professional electrician to show up on time, do a high quality job and not leave a mess in their wake, give Jess at J.Y Industries a call to discuss your electrical job. Lighting, fans and power installed, alterations and repairs. Air Conditioning installation, removal and servicing. TV, telecommunication and data installation and repairs. Switchboard installation, upgrades and safety checks. Install of motors, pumps, generators and workshop machinery. Test and Tag, Rcd testing and routine maintenance. Energy saving devices and green solutions. If it’s not listed above, drop us a line and we are more than happy to discuss your job! 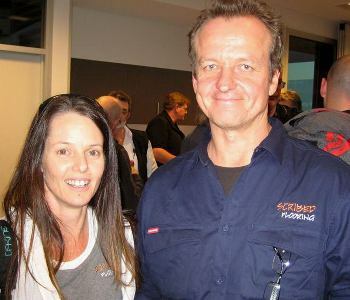 Point to Point Electrical Pty Ltd is a fully female owned & operated business servicing Brisbane City & suburbs. Point to Point was established with the vision of creating a company that values customer service, reliability & good quality service to suit all budgets. Our purpose is to finish a job & leave nothing behind but happy clients who have a safe & functional home/business. Our focus is always on upholding our values which are honesty, reliability, friendliness, trustworthy, passion, quality products & service as well as effective communication. We service Commercial & Domestic industries as well as the Installation of Air Conditioning. Location areas serviced: Redcliffe Peninsula & Moreton Bay Region. Created in 2009 on the Sunshine Coast, we've now relocated to Redcliffe Peninsula. 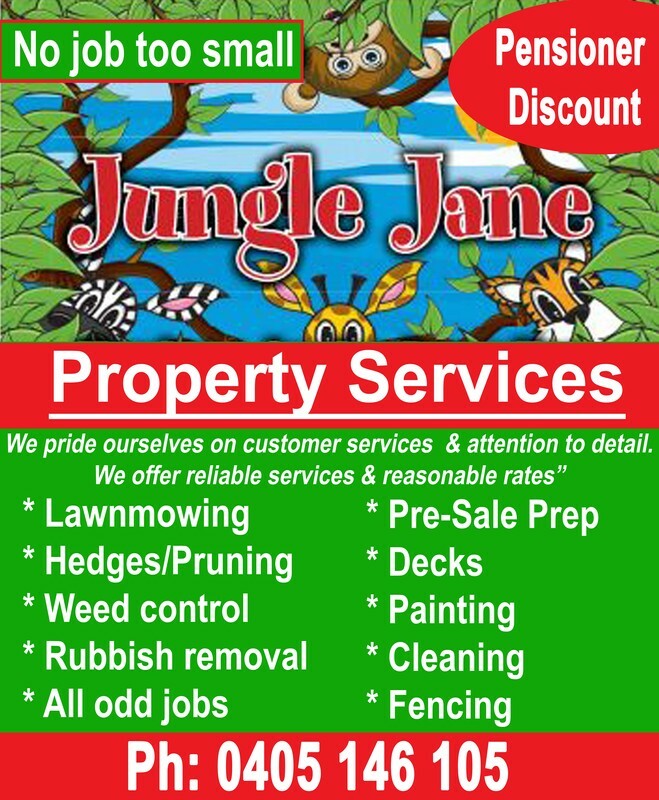 Jungle Jane Property Remedies is a locally owned business specialising in all types of property services, from short term to long term garden & lawn maintenance. We also offer expert advice for owners who are preparing their property for sale. Ranging from small residential upkeep to commercial & industrial properties. We understand that every garden & lawn is different. Each property requires a different approach to maintenance. With our regular pre-start garden analysis, we can identify & highlight problems & offer you solutions so you can relax & enjoy your dream garden. We also offer property renovations & decorating, we have had first-hand experience in this field. We also specialise pre-sale preparation, so if you are thinking of selling your property we come & prepare it so the presentation for photography, sale & open homes are impressive to buyers. As they say, first impression is the best impression. Decks – rebuild, repairs or freshen up the dried-out timber. About Emma: Emma is a fully qualified Painter & Decorator by trade with experience in a range of applications for both Residential & Commercial properties. Since branching out on her own, Emma specialises in smaller jobs, renovation work, colour consultancy, pre-sale/rental property presentations, as well as Renovation/Repaints as well as general Internal & External painting. Emma is confident in gloss and water enamels, interior/exterior paints, & feature walls. Emma also has experience on commercial sites, having worked on various schools (Adam Road Primary School, Bunbury WA - Dripstone Middle School, Casuarina NT), Government Defence Buildings (RAAF base + Robertson Barracks in Darwin), & the Darwin Private Hospital. 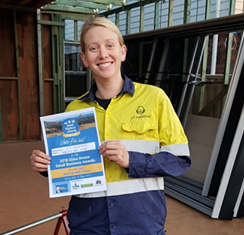 With a Cert III in Painting and Decorating, with +8 years experience under her belt, Emma is fully qualified to assist with your complete painting needs as well as a range of other smaller odd jobs. 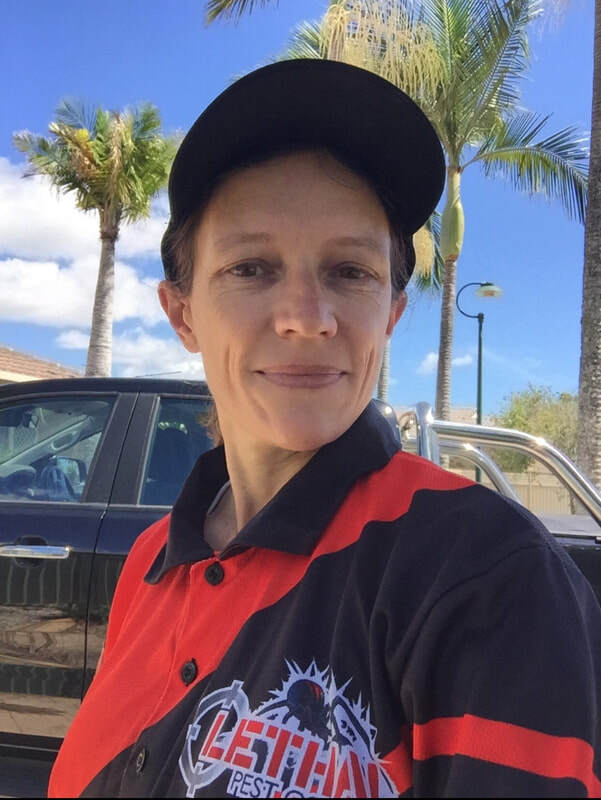 Emma has recently moved her business from Darwin in NT to the Mackay Region & is looking forward to establishing herself in the new area & meeting a new group of clients. We are a small family owned business founded in 2016. I (Steff) am currently working under a Tradesman (my partner Luke) until I am fully qualified (in 2019). We provide only the highest quality plumbing, drainage and gas fitting work. We pride ourselves on our customer service, quality and attention to detail. We service domestic and light commercial customers. We are also accredited in Backflow and TMV testing and Solar hot water. 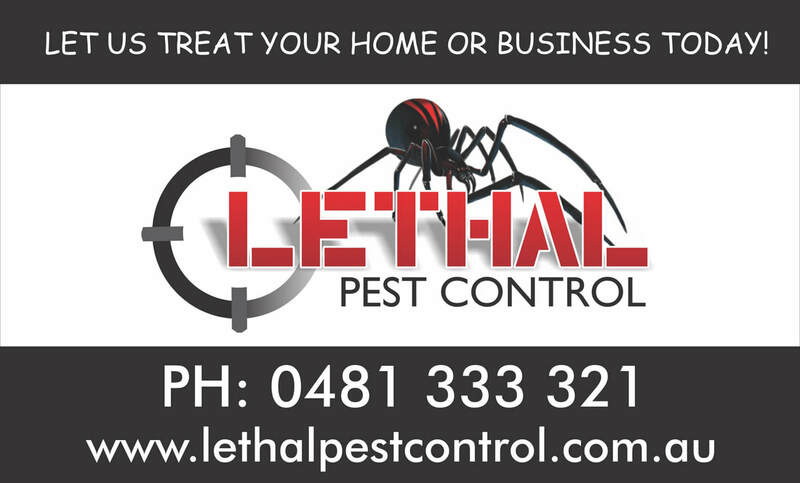 Lethal Pest control offers a friendly meticulous pest service to suit your every need. We treat homes & commercial properties for Termites, Spiders, Cockroaches, Ants, Rodents, Silverfish Weeds & more. Termite inspections are available at Lethal Pest, using the latest technology equipment, such as radar and infrared to ensure the safety and protection of your home. Please call Michelle for a professional, quality Pest treatment or Termite inspection. Covering all Gold Coast areas and at your service. Let us treat your home or business today. Fully qualified Pest Technician and Timber Pest Technician. Cert III Horticulture and Conservation Land Management. Licensed and insured $10 million Public Liability Insurance. Stel's Shine Moore Detailing Services. Servicing: Qld - Upper Caboolture and all surrounding areas. Our mission at Stel's Shine Moore Services is simple: To provide high quality services in a timely manner. 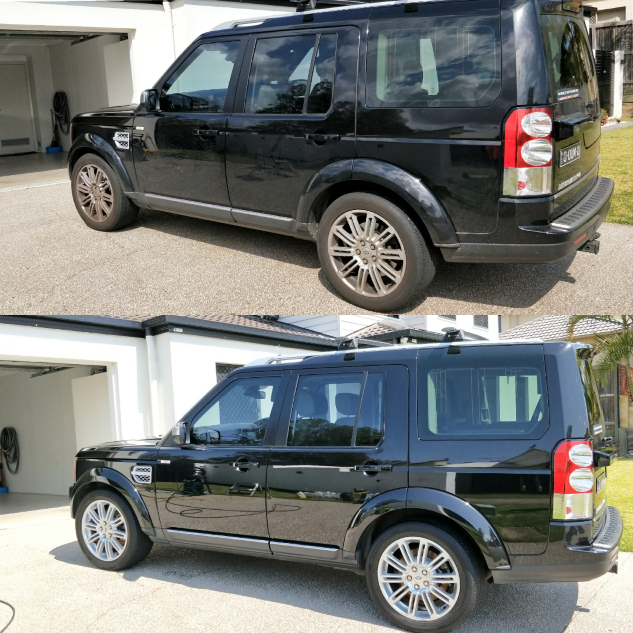 Our team caters to each projects specific needs to ensure excellence, and offers all aspects of car detailing, including; paint correction, carpet shampooing, paint protection, interior detail, memberships, glass, wheel, vinyl and leather protection and package prices.